How many luxury brands can truly attest to the fact that they have created a bag with 60 years of history that’s also still in production today? Well, there’s Hermès’ Kelly that was created in the 30s, Chanel’s 2.55 that dates back to 1955, and of course the subject of today’s post, Delvaux’s Brillant that was launched back in 1958. 60 years is no mean feat for the Brillant, a gorgeous leather bag that was created by Paule Goethals for the 1958 World’s Fair. Comprising of 64 leather pieces and finished with the shiny horseshoe-shaped buckle (one that also looks like a ‘D’), the Brillant grew to become a signature piece for the Belgian brand, one that’s easily identified by its distinct and streamlined aesthetic. Having seen its fair share of anniversary specials and limited editions over the years, the Brillant family just keeps growing. There was the Brillant Black Edition that was a maxi-version created in 2008, iconic pieces in PVC (google Brillant X-Ray and Brillant Hero and you will know what I mean), as well exotics in alligator and ostrich. This year sees an all-new addition known as the Le Diva, one that’s truly unique and inspired by the golden age of Hollywood and hence the name. Seemingly normal from the front, turn the Le Diva to the side and that’s where the magic happens. This special piece is double-bodied and enhanced with two clasp enclosures that provide a solid metallic framework for the bag, allowing it to open like a box clutch after unfastening the bag’s front buckle. Totally chic. 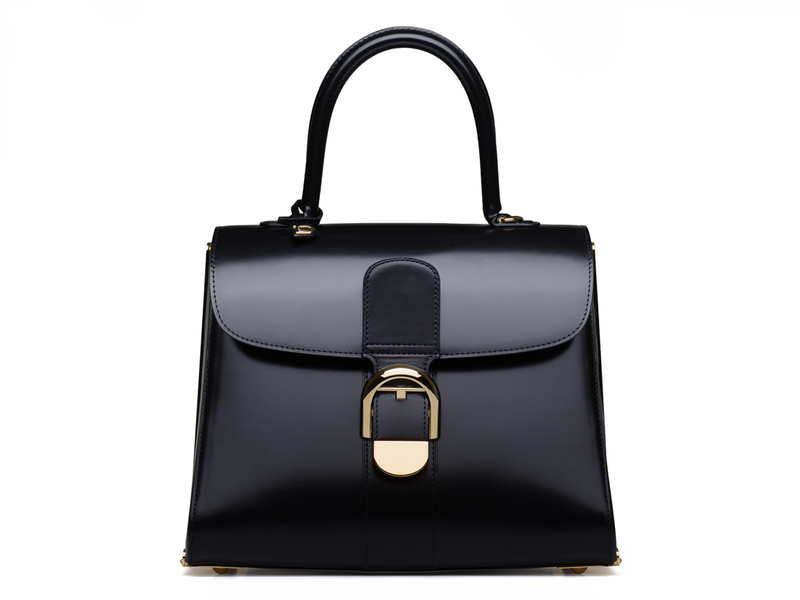 Another point worth noting is that the Le Diva comes in a shiny (one that’s totally brilliant, no less) Norwegian bull leather and available in two glamorous colours, Black or Red. Available in a single size that measures 29 cm wide and 21.5 cm high, it is the perfect size for a lady that’s all about glamour and poise. Finished with gold hinges and a sparkling gold buckle, the Le Diva is one that requires precise craftsmanship and the use of quality materials, which is why it is priced higher than the average at SGD17,100. 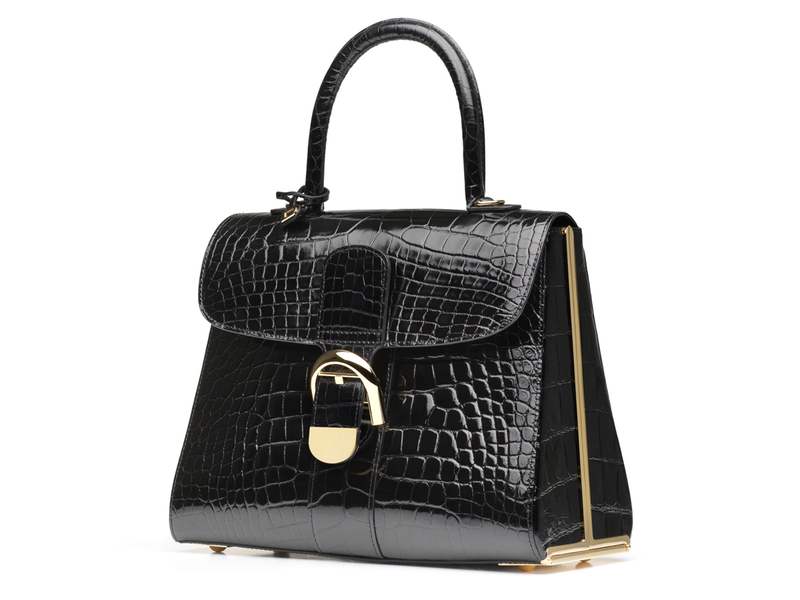 Of course, no anniversary piece is complete without a variation in exotic leather, with the Brillant Le Diva Alligator (SGD67,300) in Black that’s extremely gorgeous and available only in limited quantities, including now at our very own standalone boutique at Scotts Square.